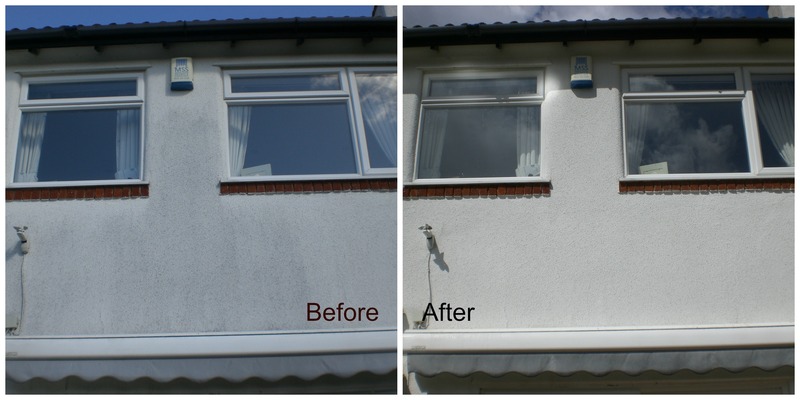 Are your rendered walls covered in green, red or black algae or even covered in lichen growth? Or is the stone-work on your premises turning black over time? If the answer to either is yes then you need the render and stone cleaning services from Modus Cleaning Solutions. K Rend and other renders have been marketed as a maintenance free product, however if your render is covered in unsightly algae and other natural contaminants then you know this is far from the truth. The problem – Algae, lichen and moss spores are transmitted on the wind from one area of infestation to another. A prime breeding ground for such spores can be cold and damp render covered walls. 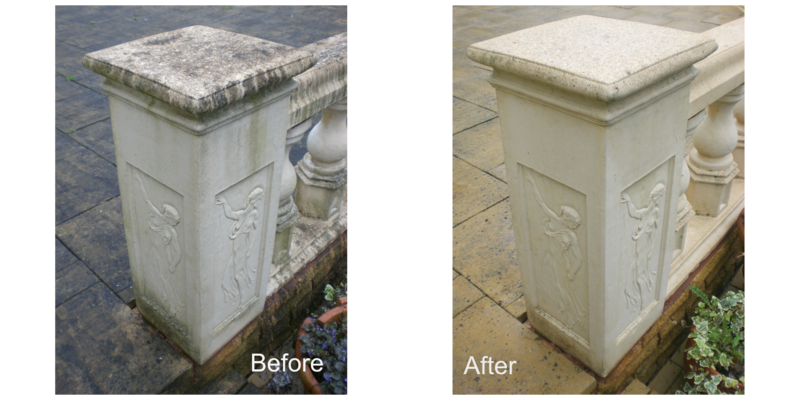 This can turn your once beautiful home into an eyesore that has lost it’s kerb appeal. The process – Modus Cleaning Solutions use high reach cleaning equipment along with a very specific combination of biocides and disinfectants with surfactants mixed with water. This solution kills the organic contaminants but will not damage the render covered surface. This process is also known as soft washing as it uses the gentle cleaning process of water and cleaning detergents under very low pressure. 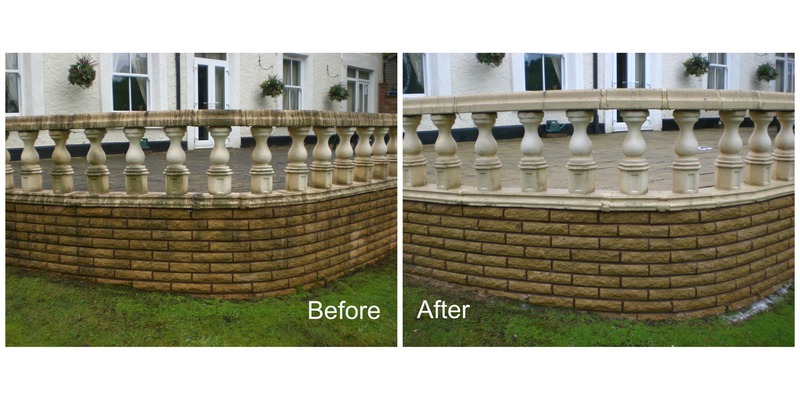 The opposite of this would be to use high pressure or jet washing which would not be suitable for the cleaning of renders as it is far too aggressive and could cause significant and expensive damage. The affected area is first sprayed with the solution, then gently agitated with a soft brush into the surface. This is allowed to work for 30 to 60 minutes, a repeat coat is applied if necessary. After all organic growth has been killed and has disappeared the area is rinsed with clean water to remove any residues. 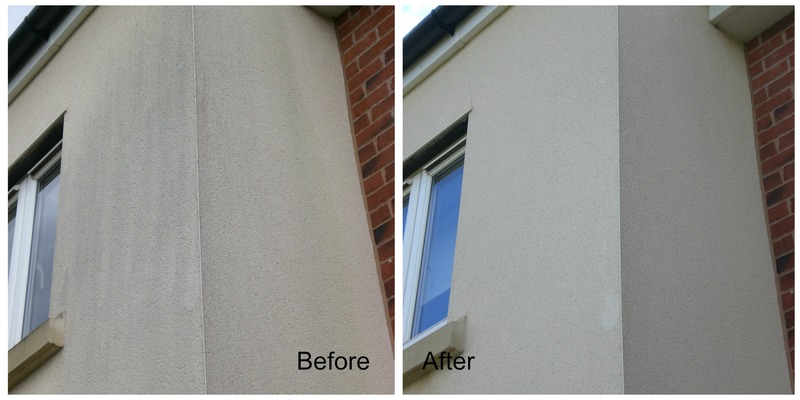 Having your render or hard surface cleaned is probably one of the quickest and most cost effective ways to add real value to your property. And because we can usually do this from the safety of the ground without the need to hire expensive scaffolding or cherry pickers this can be achieved at a much lower cost to you. What can we clean using our Soft-wash technology?